By the time Fr Doyle made this second vow 107 years ago today, he had advanced far in the spiritual life and was actively seeking daily sacrifices to offer to the Lord for others. We can learn a lot from his spirit of generosity, even if the way we live this generosity is different from the ways open to Fr Doyle. 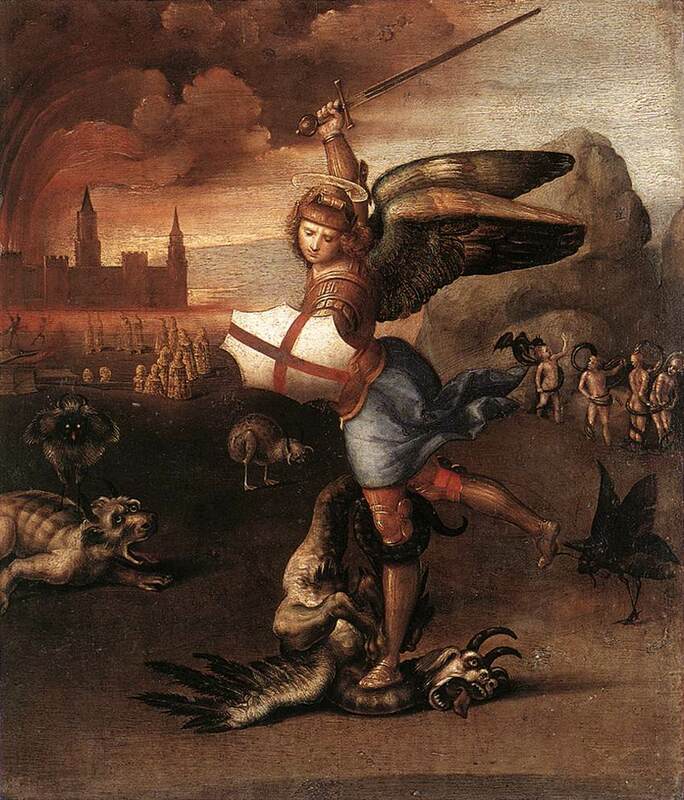 The continuous struggle against the devil that characterises Michael the Archangel is still going on since the devil who seeks to take advantage of every situation is still living and operative in the world. There are periods in which the existence of evil among men becomes singularly apparent. We have the impression today that people do not want to see the problem. Everything possible is done to remove from public awareness the existence of the “cunning attacks of the devil” who “holds dominion over the underworld…Nevertheless there are historical periods when the profound truth of this revelation of faith is expressed with greater force and is almost tangibly perceived. From some fissure the smoke of Satan has entered the temple of God. And Sr. Lucia, one of the Fatima seers, spoke on several occasions of a contemporary “diabolical disorientation”. Send Michael, the prince of the heavenly hosts, to the aid of your people. May he defend them against Satan and his angels on the day of battle.